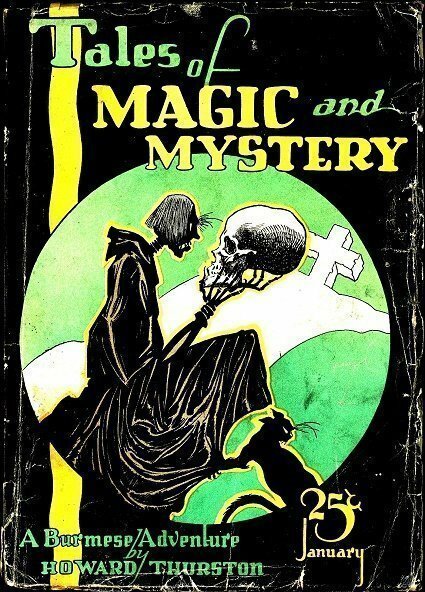 “Tales of Magic and Mystery”, which was a short-lived competitor to “Weird Tales”. The magazine was edited by Walter Gibson, future author of “The Shadow,” and he wrote most of the non-fiction articles to appear in the magazine. Condition is good to very good; front cover has overall wear, with many creases, edge tears and light stains. The spine is complete but stained (note that, as printed, the spine is blank). Back cover is similar to the front, with some writing in pencil. Paper is yellow and supple. he also ghost wrote “A Burmese Adventure” as by Howard Thurston. All four are articles. All 5 issues were edited by Gibson. It also says 4 pseudonyms by Gibson (I’m not sure that I would call anonymous articles as pseudonyms). Contains the first appearance of H. P. Lovecraft’s Cool Air. All the rest are articles of the 72 pages. I’m not sure I could have paid $500 plus for a minor 6 page Lovecraft story. 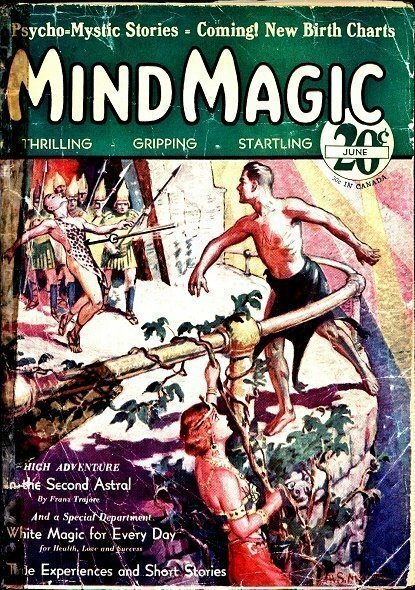 “Mind Magic” was a rare fantasy pulp, running for four issues in 1931. It was published by the same publisher that put out the spicy pulp, “Paris Nights,” and many artists and authors worked for both. This… is for the first issue, dated June 1931. Condition is fair; front cover has overall wear and creasing, as well as spine tape. The back cover is a photocopy. Paper is various degrees of tan (except for the middle 16 pages, which are printed on a higher quality paper and are off-white) but still supple, with a few tears. “The Black Art of Eric Hampt” by Frank Kenneth Young (only semi-prolific). Only 7 short stories from the 64 pages. The rest of the issue is taken up by 10 articles. 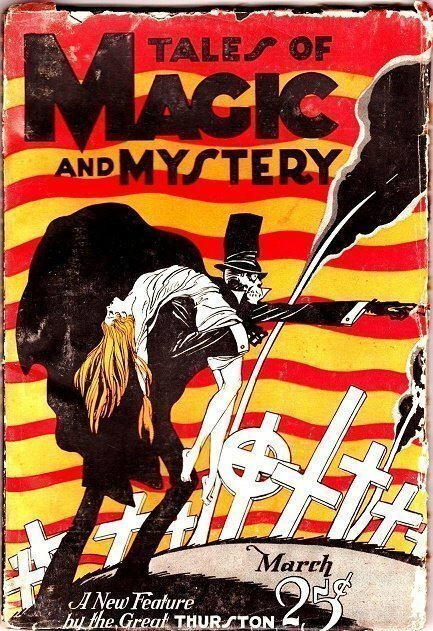 (which is a bit more than some truly Rare and Very Rare Pulps, which also goes for TALES OF MAGIC and MYSTERY).